At ECC Roofing & Siding, we provide expert attic insulation solutions to make your home function properly. We offer a variety of types of insulation to best fit your needs and give you a long-lasting solution. Call us today to get a free estimate in Vineland, Cherry Hill, Clementon, and the surrounding areas! 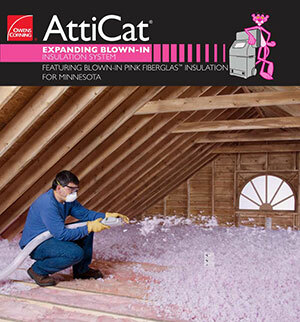 Having proper attic insulation can make a big difference for your home's comfort and energy costs. ECC Roofing & Siding provides all the home insulation solutions you need, ensuring that your heating and cooling systems operate efficiently and you save money. If you're interested in improving the attic insulation in your home, give us a call today at 1-855-251-7115 to get started with a free estimate. We proudly serve in Vineland, Cherry Hill, Clementon, Bridgeton, Sicklerville, Rancocas, Mount Laurel, Hammonton, Monroe, Blackwood, Mount Holly, and throughout the surrounding areas.